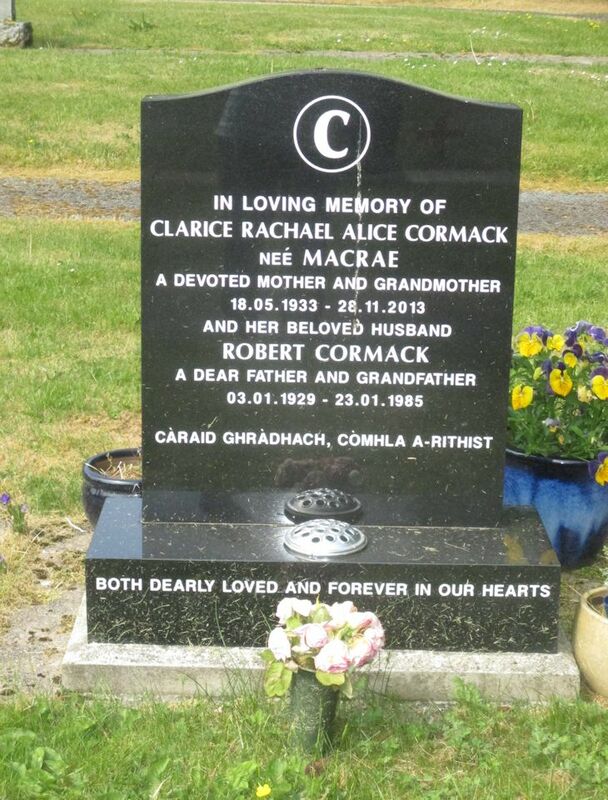 Skye Gravestones | Clarice (Macrae) & Robert Cormack. in loving memory of/CLARICE RACHAEL ALICE CORMACK/neé MACRAE/a devoted mother, and grandmother/18.05.1933 - 28.11.2013/and her beloved husband/ROBERT CORMACK/a dearly father and grandfather/3.01.1929 - 23.01.1985. Both dearly loved and forever in our hearts.